Is bread really the staff of life for all people? The answer is almost certainly that it might have been once but in our modern times, the preservatives that are used to keep it fresh for longer might be underlying the difficult behaviours associated with ADHD. These days there is a lot written about how diet affects learning and behaviour. Some families try to avoid certain foods – sugar and highly coloured foods are examples. 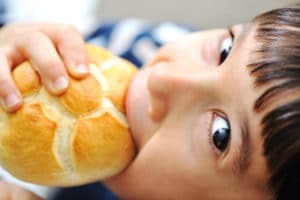 But if you have a child who is struggling with really challenging mood swings, fatigue, defiant attitudes, eczema, asthma, poor progress at school, perhaps you need to look more closely at bread. One of the major preservatives in bread is Proprionate. If you take this post seriously and read the labels on the breads your family eats daily, you’ll see that it is added to virtually all commercially available bread and rolls. The official name is Calcium Proprionate and it is a mould inhibitor, also found in various cheeses. The food scientists claim that it is harmless and they base this opinion on the fact that it occurs naturally in the human body. That may be so, but there is limited evidence as to how much is tolerated by our body and how high doses may affect the body. Many South African families rely on bread for meals and snacks throughout the day. Breakfast, school lunches and afternoon snacks are often based on bread. It is an easy, relatively cheap and quick hunger satisfier. But this high intake of bread is accompanied by a high intake of proprionate. One person who realised the link between proprionate and a myriad of mental and health problems is Sue Dengate. She is an Australian researcher and writer who spent years trying to understand the underlying reasons for her own children’s extreme behaviour and learning challenges. Her efforts have resulted in her founding the FAILSAFE eating approach which is widely followed in Australia and elsewhere. Her website is a font of knowledge about how intolerances to food and food additives – including proprionate – affect both brain and body. For example, she mentions how some breastfed babies stopped their constant screaming when their mothers switched to preservative-free bread; how children were able to first reduce and then stop their ADHD medication after giving up preserved bread, even how high-functioning adults suffering from chronic fatigue syndrome regained their energy after excluding certain breads. Bread preservative may not be the only additive causing problems but this post focuses on it because it is probably the additive eaten most often by people who think they are eating a healthy diet. So many of us can cope with preservatives, colourants and flavourants but that isn’t an argument for closing our minds to the possibility that the challenging ADHD-type behaviours that we struggle with daily might be caused by or at least worsened by modern foods. The children that we’re focusing on are more vulnerable to many of the potential offenders found in our environment, including foods. The fact that other children are not affected by these things is not an excuse to ignore the possibility that one or many more potential offenders are affecting the brain, immune system and other bodily systems in an ‘ADHD’ child. So what bread can be eaten? I don’t have a list of breads free of Calcium Proprionate but recently found a brand at Pick ‘n Pay that was free of it. Otherwise, ciabatta is a bread that is proprionate free. The reason is that the preservative would kill the micro-organisms that produce the gas that form the holes in the bread. Artisanal breads available at the increasingly popular farmer’s markets may also be free of preservatives but you would be wise to check on this before buying. Investing in a bread making machine would be another option. For more information about Sue Dengate’s amazing work, and full instructions as to how to follow her FAILSAFE diet, visit her website at www.fedup.com.au. Integrated Learning Therapy (ILT) tries hard to ensure that every possible avenue is explored when unravelling the causes of learning difficulties and puzzling behaviours. 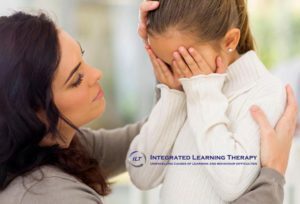 You might be interested in learning more by taking our Parent’s course, which aims to share with parents many of the reasons why your child is not thriving in and out of school. Find out more about this correspondence course by writing to us at info@ilt.co.za. We are pleased to offer the course at a special parent’s discount for the months of July and August. If you would like to receive more posts like this, be sure to Like and Share our Facebook page. Most parents are aware of the debate raging around the pros and cons of allowing children use of electronic devices, including cell phones, tablets, computers, electronic games, TV and so on. Many schools are encouraging this by prescribing tablets for use in and out of foundation phase classrooms. Is all the negative hype exaggerated or is there a realistic need for limiting time spent with technology? Let’s have a look at some evidence relating to this difficult question. The arguments against young children being allowed early access to devices centre around possibly negative consequences for their neurological development. The early years see rapid brain growth which is fueled by stimulation from the environment. 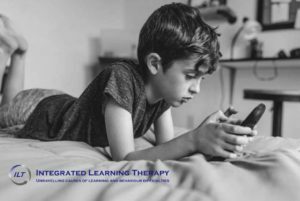 Overexposure to devices has been linked to intellectual delays, impaired learning, decreased concentration and memory, executive functioning and decreased ability to self-regulate (leading to lowered emotional control as seen in response to temper tantrums). In addition, too much time spent sitting with devices leads to less time engaged in physical movement, which can affect development as well. Secondary effects also occur, such as sleep deprivation in children who are allowed devices in their bedrooms, addiction to technology and mental disturbances such as aggression, depression, problem behaviours and more. Then there is the question of radiation emission. The World Health Organisation (WHO) published a cautionary warning in 2011 against young children’s use of cell phones and other wireless devices because of the possibility of the emissions being carcinogenic. In 2013 a researcher from Toronto’s School of Public Health recommended that, based on newer research, radio frequency exposure should be regarded as a probable carcinogen. Some families labour under the misconception that technology brings the family closer together. This can be true of families who have members living far apart: Skype, Facebook, Whatsapp, Messaging and other apps make it possible to maintain relationships. But what of the daily life of a family who lives together? Some families are being driven apart by a wide emotional gulf between parents and children. This happens when each member is preoccupied by their phones, TVs or computers; unable to resist almost constant checking of a device to see what is happening in the world so that they don’t miss out on anything. There is evidence to show that internet use reduces the time parents and children spend together. Another study found that teenagers who spend more time playing on the computer (not for homework) or watching TV were less attached to their parents than youngsters whose time in front of screens is restricted. The key seems to be the reason for using the Internet. While online gaming seems to hurt parent-child relationships, using the Internet to study or research homework topics does not. The reason for the negative effect on family life is simple. Interactive, amusement-based technologies and social media does away with the need for interaction with the family. Gaming and life beyond the home with friends and other personalities is very seductive. Children retreat to their own spaces to engage with digital entertainment so shared time with parents is lost. Even if the family is present, members are ignored when the child concentrates on the device. All caregivers, be they parents, grandparents, teachers and others, need to consider that children’s brains need parental involvement to develop. How children are treated will determine who they become and how they will develop. Nature needs nurture so leaving children for hours at a time in front of the TV are prey to what amounts to under-stimulation that can adversely affect their brain development. Children with healthy attachment to parents are better able to regulate their emotions, score better on measures of intelligence and academically and have higher self-esteem than children who are less attached. Behaviour problems are fewer, depression is less common and school achievement is higher. Drug abuse is less and children from close families seem to have the will to venture into and take on the world. Don’t be misled by cultural perceptions that portray hi-tech children as competent, happy and successful. The truth is that many are struggling emotionally and socially. Those children who use devices to help with schoolwork show benefit. But research shows that time spent on video games, online gaming, watching TV, texting and engaging in social networks hinders school success. High school learners tend to spend more time playing with their gadgets than they do actually attending school, studying and doing homework. The bottom line is that, unless exposure time is strictly limited, the potential overuse of screen and phone technologies, which are actually entertainment providers, threatens children’s connection to family, academic effort and other important activities. In very young children, added to this can be the danger of developmental delay, leading to learning and behaviour problems. Considering that we live in a technological age, it is important that children do learn how to use these devices. The problem is not their use of technology but it is their overuse of entertainment technologies that have the potential to disrupt the experiences that create a strong mind and a happy, successful life. Many professionals believe that children under the age of 2 years should not be allowed any access at all to electronic devices; 2-5 year olds should not spend more than one hour a day on devices and older children and youths restrict use to 2 hours per day. This is a subject definitely worth thinking very seriously about – and also considering your role in modelling behaviour. If you spend every available moment at home or in public places on your devices, you can’t expect your children not to follow suit. You may excuse your obsession by saying that you need to stay in touch for business purposes but this is usually another of the many modern myths that have been created around technology. Mesch, G.S. & Talmud, I. 2010. Wired youth: The social world of adolescence in the information age. Routledge, p.31. Richards, R., McGee, R., Williams, S.M, Welch, D & Hancox, R.J. 2010. Adolescent screen time and attachment to parents and peers. Archives of Pediatrics & Adolescent Medicine, 164(3), 258-262. Turkle, S. 2011. Alone together: Why we expect more from technology and less from each other. New York: Basic Books, p.267. Dr Richard Freed, 2015. Wired child: Reclaiming childhood in a digital age. CreateSpace Independent Publishing Platform.